FRONTIERS 3: “Multifunctional surfaces at the frontier of knowledge” is a 2 year collaborative project supported by the Basque Government Industry Department under the ELKARTEK Programme. FRONTIERS III continues the same path previously carried out by FRONTIERS and FRONTIERS II projects. 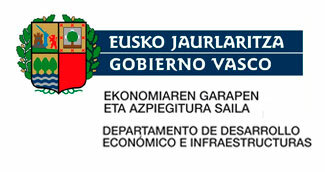 Those projects allowed the deployment of an instrument to coordinate and articulate the cooperation among the main Basque R&D entities in the field of Surface Engineering, integrating different capabilities and surface technologies. - Generation of cutting-edge knowledge in the area of Surface Engineering, progressing in the capabilities of Basque R&D entities in surface modification, coating and finishing technologies. - Solving some of the major challenges in the field of Surfaces, with a medium- to long-term vision, as a key competitiveness factor for strategic industrial sectors in the Basque Country. On the other hand, the project’s direction is also driven by the tendencies of the 4th industrial revolution (Industry 4.0). FRONTIERS III incorporates the design of experiments and simulation and modelling methods as tools to progress to advanced manufacturing. The knowledge generated by the project will lead to the development of multifunctional surfaces that could fulfill the requirements demanded by industry in the field of Surface Treatments in the years to come. The consortium comprises the following 11 organizations: CIDETEC, TEKNIKER, TECNALIA, MTC, AZTERLAN, LORTEK, CEIT, CIC-biomaGUNE and three departmental units of the University of the Basque Country (Organic Chemistry I, LABQUIMAC, POLYMAT). The participants are experts and leaders at national and international level in different surface treatment technologies. CIDETEC is the leader of the project FRONTIERS III, carrying out the management, coordination and administrative tasks of the project. Moreover, CIDETEC is conducting and participating in various work packages related with Tribology, Corrosion, High temperature, Aesthetics, Hygiene, Cleaning, Biosurfaces and Multifunctionality.